You always want the best for your kids, and now they can have it with these Wigwam Kids' F2323 057 Charcoal Grey Hiker Comfort Socks. They offer you the best in comfort, durability, and style. Made with 57% merino wool, 37% stretch nylon, 3% Dri-release Tencel® (w ... (see full details) (see specifications) #F2323-057. You always want the best for your kids, and now they can have it with these Wigwam Kids' F2323 057 Charcoal Grey Hiker Comfort Socks. They offer you the best in comfort, durability, and style. Made with 57% merino wool, 37% stretch nylon, 3% Dri-release Tencel® (which is 88% Polyester, 12% Tencel®), and 3% elastic to create the best fit possible. These kids' socks are fully cushioned to offer your active kids comfort when they're out exploring. 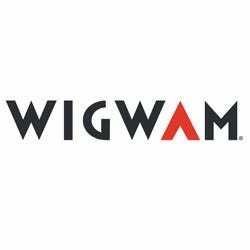 Not only are these Wigwam socks comfortable, but they also offer your children with the benefits of seamless toe closures and odor resistance. Their feet will also have elastic arch and ventilation channels. These hiker socks are guaranteed to not itch or irritate your child's skin. They offer the performance benefits of keeping your children's feet dry and warm in any weather condition. This pair of grey socks are perfect for those family hiking trips and everyday activities because of their wearability. These are also made with you and your children in mind, creating the luxury of well constructed wool socks at a reasonable price. They offer the perfect fit because they never shrink in the wash, making sure they're long-lasting. Now your kids can wear their favorite Wigwam accessories more often. Not only are they comfortable and durable, but they're also stylish. This particular pair comes in a charcoal grey, as well as a variety of colors to match your kids personal style and personality. Now you have found the most reliable comfort socks for your children that offer the quality you expect. Let us continue to provide you with hiking accessories that are made to be durable, comfortable, and wearable, which allows you and your family to enjoy your active lifestyle with ease. Order the Wigwam Kids' F232- 057 Comfort Hiker Wool Socks today from Working Person’s Store, and enjoy the adventures tomorrow brings. Wigwam Socks: Kids' F2323 057 Charcoal Grey Comfort Hiker Socks is being added to your cart.